It’s estimated that 25% of the population suffer from mental health issues, one fifth of which are adults affected by depression. Studies by the University College London shows that exercising 3 times a week can lower the risk of depression by 16%. 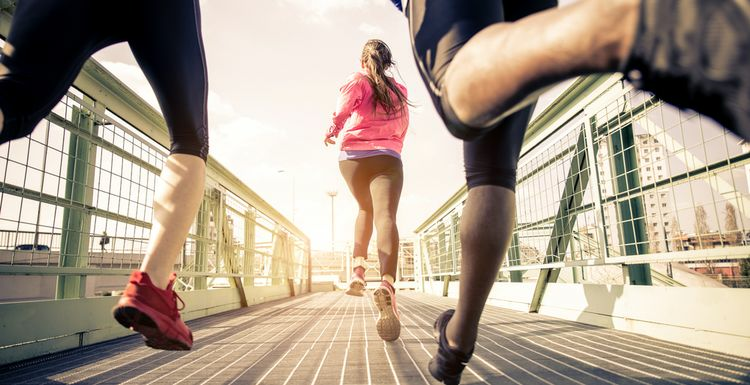 Running is a great way to get into exercise: it’s full of both physical and mental health benefits as well as one of the most effective ways to burn calories. And you can do it anywhere – on the treadmill in the gym, or outside. As well as being a good distraction from wandering thoughts, running releases endorphins which are a natural anti-depressant. It reduces anxiety and anxiety sensitivity such as panic attacks. It is well known that sleep deprivation can affect our thought processes, the way we cope with situations and also worsen the symptoms of depression. Regular exercise improves sleep quality and helps your brain to set regular sleep cycles. By joining a local running group or even running at the gym, being among other like-minded individuals is a good opportunity to make friends who in turn, can offer both social and moral support. It can also help to reduce anxiety in other challenging situations. Research shows that by setting daily, weekly and monthly goals you can help reduce depression as it gives a purpose to your time structure. Running offers many types of goal setting, whether it’s aiming to complete your local Parkrun, run laps around the park without stopping or set a new personal best. Running and exercise in general, are a great way to grow confidence, often described as feeling empowered. Losing weight is a natural occurrence with exercise, thus boosting our body image and self-esteem but be careful, it’s addictive! I think running will always be there as the number one exercise for people. It's the one thing that you can do whenever. wherever you like, for free. That's partly why it feels so great. A feeling of freedom! I can vouch for the social interaction. My husband and I both run with our local club and we do things together outside of running too. We have even raised money for charity. Makes us both feel great. I go running with my dog and love it. I was only thinking today how I reckon exercising, especially running outdoors, probably keeps me from feeling lower than I would do otherwise. Nice to know there's science behind it.